Exceeding all sale expectations, the comprehensive internationally peer-reviewed e-Book titled Mushroom Cultivation Business and Marketing Secrecies comes highly recommended. This specialised e-Book for mushroom cultivators is specially designed to provide a one stop resource for owners and managers of small, mid-scale or commercial gourmet / exotic / specialty / medicinal and button mushroom enterprises to access a wide variety of research-based information to assist with business and marketing decisions and success. The e-Book with various illustrations, screenshots and tables will is offered in DRM-free PDF format only. Secrecy (also called clandestinity or furtiveness) is the practice of hiding information from certain individuals or groups, who do not have the "need to know" perhaps while sharing it with other individuals. That which is kept hidden is known as the secret. In the mushroom cultivation industry there are numerous crucial cultivation secrets. 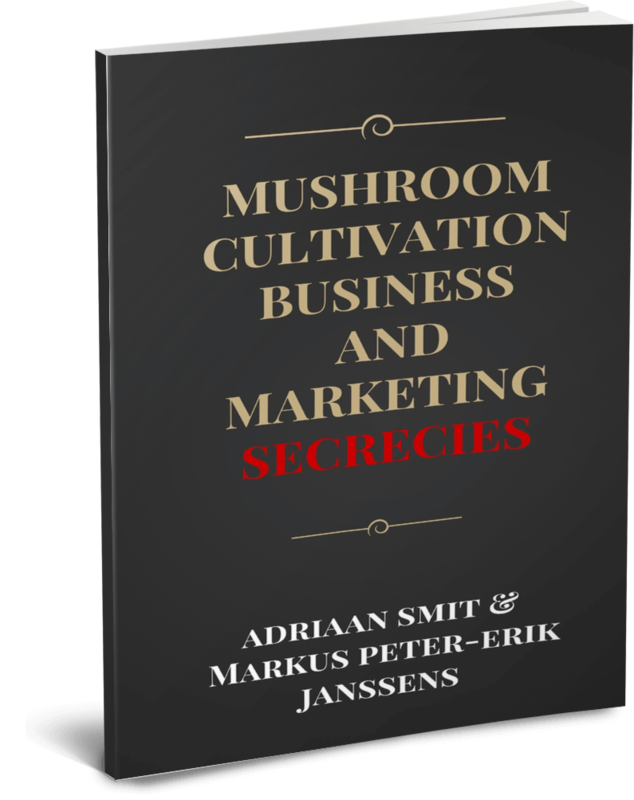 This specialised Mushroom Cultivation Business and Marketing Secrecies e-Book is unique as it focusses on the essential often untold information needed to be successful in this competitive industry. Discount applicable to all non-student orders up to 1 June 2019 and on student orders up to 1 December 2019.